At American Golf we pride ourselves on stocking the best range of golf clubs by all the top brands including TaylorMade, Callaway, Cobra, Titleist, Mizuno and PING. If you’re a golfer who is looking for great value, don’t forget we offer a price match guarantee across all our golf clubs range. Everyone wants to hit a long, straight drive and therefore golf drivers are an important piece of golf equipment. The latest technology drivers are designed to make it even easier to hit the golf ball hard and straight. Purchasing a set of irons is probably the biggest financial investment that you will make in golf terms and therefore one that must be right. We stock both left and right handed golf clubs, golf clubs for women and senior golfers. Your short game is still the business area of the course so this needs to be mastered for you to score well. American Golf has a wide range of golf putters and golf wedges to help you improve this area of your game. We stock some fantastic ladies golf equipment by all the leading golf manufacturers, providing an extensive range exclusively tailored for female players. Equipment for ladies feature many of the same technologies as golf clubs for men, tweaked to offer maximum performance. Every golf club is made with graphite shafts specially matched for ladies' swing speeds, and come with a softer, thinner grip. Also, equipment for lady golfers are available in a wide range of eye-catching designs and colour schemes. American Golf has some brilliant golf equipment for young golfers, offering a wide range designed to get them improving their golf swing, while having fun on the greens. It's always important to get the right type of golf equipment for junior golfers. Specialist junior golf club manufacturers, such as US Kids, Golphin, Ping Golf, Wilson and Masters, produce junior golf equipment with shorter and more flexible shafts to ensure that your kids can hit the golf ball properly and get more from every game. American Golf stocks a huge range of golf clubs, including Ping, Callaway, TaylorMade, Cobra, Mizuno and Wilson. We also stock value golf clubs that are perfect for golfers playing on a budget. A good set of golf clubs is a worthwhile investment, so consider which type of club is best suited to your needs before hitting the greens. Everyone wants to hit a long, straight drive and therefore golf drivers are an important piece of golf equipment. The latest technology-heavy golf drivers are designed to make it even easier to hit the golf ball hard and straight. Purchasing a set of irons is probably the biggest financial investment that you will make in golf terms, and therefore one that must be correct. We stock both left and right handed golf clubs, golf clubs for women, and senior golfers. Short game is still the business end of every round, and needs to be mastered for consistently low scores. 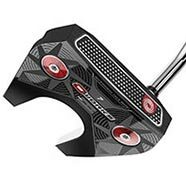 American Golf has a wide range of golf putters, chippers and wedges from brands such as Odyssey, Scotty Cameron, Bettinardi and Fazer, to help you improve this area of your game. An important purchase, sets of golf irons with steel or graphite shafts are probably the biggest single investment you will make regarding your golf equipment. This is because golf irons are used for a variety of shots on the golf course. Steel shafts are slightly more consistent and better value, whereas graphite shafts are lighter and allow maximum golf club head speed without the need to swing too hard. Top brand golf irons include Mizuno, Callaway, TaylorMade, Ping, Cobra, Titleist, Wilson Staff, Cleveland and Mizuno. Some golf irons feature the finest forged heads to maximise feel and control. Others feature cast heads which yield excellent results and are more cost effective. At American Golf, we cater for all types of golfers; right handed, left handed, ladies, seniors and juniors. Golf irons are a particularly important part of your golf equipment. To nail an accurate tee shot on a tight golf course, or hit that Par 5 in two, you're going to need a fairway wood. A 3-wood is invaluable and can be used often off the tee for accuracy, and a 5 or 7-wood will allow you to hit high, soaring shots that land softly on the green. 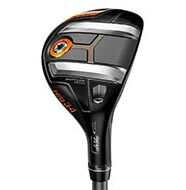 Fairway woods are beginning to incorporate some of the latest technology already present in golf drivers. Titanium head construction gives a large and powerful head, while moveable weight technology can help you shape your shots. Some of the best manufacturers include Callaway, TaylorMade, Titleist, Cobra, Ping, Mizuno and Wilson Staff. As always, we are here to help, so if you need any advice purchasing your next fairway wood, then don't hesitate to contact American Golf. Everyone knows short game is a vital part of golf, and an investment in some decent golf wedges will help you to reduce your scores. Golf wedges can be used for full shots, pitches, chips, lob shots and even to escape bunkers. 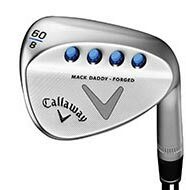 Latest features and technologies are always being improved upon, so be sure to check out the best golf wedge manufacturers, including Cleveland, Titleist, Mizuno, Callaway, TaylorMade and Ping. Golf wedges are always getting softer, using the latest mixtures of carbon and steel materials to enhance feel and control of the golf club. Anti-glare surfaces such as tour satin, gunmetal, black pearl and copper are popular on Tour. Also, be sure to match your bounce requirements to your golf course or type of shots you wish to play. Every golf wedge available at American Golf has been evaluated by golf experts, and you can be sure that each one will enhance your game. Golf hybrids or rescue clubs were first introduced to replace the hard to hit long irons, and have made 1 and 2 irons obsolete. Higher handicap golfers have also had greater success replacing their 3, 4 or even 5 irons. These types of golf club are a cross between a wood and an iron, with the shaft typically being the length of an iron. This allows golf manufacturers to create a very forgiving golf club that is easy to hit high from any lie, but with the control normally associated with an iron rather than a fairway wood. Top golf brands in the hybrids sector include TaylorMade, Ping, Callaway, Cobra, Cleveland and Mizuno. Great value alternatives can be found from Fazer and Wilson. 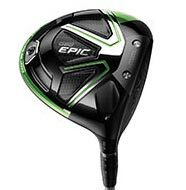 You'll be amazed how much easier these golf clubs are to hit, and at American Golf's online store, we have one of the widest ranges of hybrid golf clubs available right now - so pick one up today - you won't be disappointed. Package sets are a great starting point in golf. Each set typically includes a golf driver, fairway woods, golf irons, a golf putter and a golf bag. Some package sets may even include a hybrid golf club or two. Package golf sets are great value for money and are of excellent quality. Very good examples can be found from Wilson, Wilson Deep Red, US Kids and Ping. We have a good range in our golf store for right and left handed golfers, lady golfers and junior golfers. When you're starting out in golf you need the best advice, which is always available at American Golf. Achieving unparalleled distance, fine-tuned trajectory, and improved shot accuracy with a golf driver is bread and butter for golfers at all levels of their game. Golf drivers will help players improve on the greens, while having the correct loft and shaft is also beneficial. Brands can also add a little more experience to a players’ performance, and include TaylorMade, Titleist, Callaway, Cobra, Mizuno and Ping. 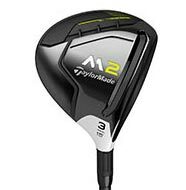 At American Golf, we stock a wide range of right and left handed golf drivers, as well as ladies golf drivers, from top brands including TaylorMade, Callaway, Titleist, Cobra and Cleveland. Should you need more information on a golf driver, we have many golf driver reviews on our site from our customers, so you can read how a specific driver performs on the course, and details on its quality, accuracy, forgiveness and workability. We stock the latest golf drivers from all the leading manufacturers, so as you browse our range, you can be sure that you are choosing from the best range online! Womens golf drivers feature the same technology as their male equivalents, but with a lighter and female specific shaft. Ladies golf drivers give female golfers the chance to get maximum distance from the tee and their fantastic performance will add distance and accuracy to any game! If you purchase a golf driver from American Golf's online golf store, you can be sure of quality and performance as each product is strenuously evaluated before hitting our shelves. Drive for show, putt for dough! This classic cliche has never been truer, thanks to golf manufacturers accelerating the pace of product improvement every season. 2 and 3 golf ball putters give valuable alignment aids and have revolutionised putting. New anti skid faces get the golf ball rolling forward quicker and minimise side spin that can send the golf ball off target. The latest milled faces provide an amazingly perfect face to hit the golf ball with. Golf putters are personal so choose one that suits you. Also, experiment with shaft length, standard is 35 inches but a shorter one may suit. Some of the leading golf putter manufacturers include Odyssey, Benross, TaylorMade and the Scotty Cameron range from Titleist Golf. The perfect golf club for when your golf ball lies off the green, golf chippers provide maximum accuracy as you use a putting-style stroke from a lofted golf club. There are a great range of golf chippers available at American Golf, including Wilson, Benross, Odyssey and Fazer. If you need any assistance, do not hesitate to contact our team of experts. The perfect partner to your golf irons, American Golf's range of single irons complete your set. With single golf irons from Mizuno, Cobra, TaylorMade, and Cleveland, American Golf has the single irons you need!